The world is full of rich people. But there are some insanely rich people who love luxurious lives so much that they spend billions of money on buying properties. They have an interest in the property and they know that life is short, so spending and enjoying is the only way to have fun. There are so many expensive properties all over the world but I’ve collected information about some of them from different sources for your knowledge. So be ready to get shocking and interesting information about the properties all around the world. It is owned by “Lakshmi Mittal” an Indian tycoon. It costs almost $89.4 Million dollars. It is located in “Billionaire’s row” London where much other expensive properties are located. Lakshmi Mittal calls his house “Taj Mahal”. It is renovated with marble, sourced from the same quarry as actual Taj Mahal. It was 57 million when he bought it. There are many bedrooms, swimming pool, baths and picture gallery. It is 55000 square feet. It is worth 191 million dollars. It is owned by William Randolph Hearst’s trustees. It is located in California. It is now a monument and an attractive place for tourists. It was featured in the film “The God Father” which made it more famous. There are 27 bedrooms in it. There is a ticket to enter and visit this beautiful place. It is considered to be the famous museum of USA. It is worth almost 1 billion dollars. It is owned by Indian business tycoon “Mukesh Ambani”. It was designed by architects Perkins and Wills. 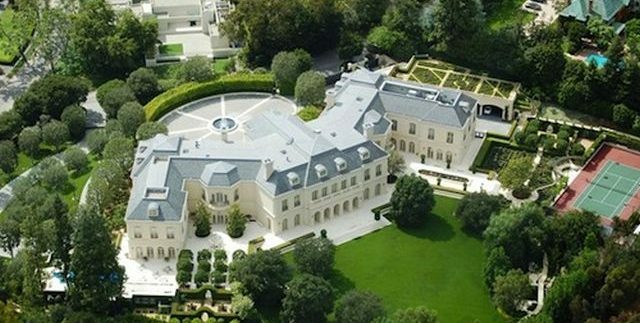 It is one of the most expensive houses in the whole world. It is a 27 story building touching the sky. There is a space for a ballroom, gardens, helipads, home theater, hundreds of cars and much more. It is worth 59 million dollars, located in New York City, The city of lights. The city is full of expensive properties and rich people. It’s a 40th-floor penthouse, consisting of 53000 square feet area. There are 4 bedrooms, a library with a personal bar and 5 and a half bathrooms. Its cost is almost 200 million dollars. It is located in California along Woodside. It is owned by Larry Ellison, 3rd richest man in the world and co-founder of Oracle. It has an artificial lake, a tea house, a bath house and a Kai pond. Its view is really beautiful. Consisting of 10 buildings, this property gives eyes a soothing effect and mind a pleasant feeling. It is worth of almost 750 million dollars. The current owner of this house is Lily Safra the widow of Edmond Safra. It is located in France. It was built in 1902. Its space is 50 acres consisting of 11 bedrooms and 14 bathrooms. This house is featured in famous movies named “The red shoes” and “To catch a thief”. It consists of a helipad, outdoor kitchen, and a vast pool. Its value is 90 million dollars. It is owned by Oprah Winfrey, also called the Queen of Media. It is located in California. It is almost 40 acres consisting of a tennis court, tea house, 6 bedrooms, 10 fireplaces, 14 bathrooms artificial pond and much more. This mansion has houses scattered all around USA, Chicago. It seems to be most outstanding. It costs 125.5million dollars. It is owned by Bill gates, the famous co-founder of Microsoft. It is located in Washington. It is a modern designed high tech property named after the title character in “Citizen Kane”. This house has all the modern technology like temperature changes etc. There is a pool, gym, library, halls, garage and other amenities. 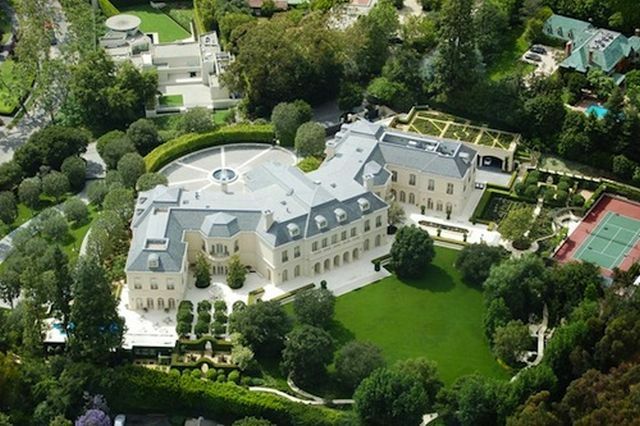 Located in California, this house cost 195 million dollars. It is owned by Mogul Jeff Greene. It is the country most expensive house. It consists of garden and a big revolving dance room.it can accommodate almost 1000 people at a single time for a party. It consists of theater, bowling alley, 23 bathrooms, 12 bedrooms, waterfalls, reflecting pools and a garage. It has 53000 square feet of space. It is located in London. It is worth of 1.6 billion dollars. It is owned by the queen of England Elizabeth II. It has 19 staterooms, 52 bedrooms, 78 bathrooms, 188 staffrooms, and 92 offices. This house is not for sale. It is very beautiful and when a person sees it he can’t stop seeing it. It is called the most expensive penthouse in the world. Its doors are not opened till yet. Its expected cost is 400 million dollars. It is located in Monaco. It is a skyscraper, 560 feet tall. It is 35500 square feet’s apartment. It is second tallest building on the Mediterranean skyline after its completion. It is shiny and opulent 49 story building. It will be opened in spring 2015. It will feature the 360-degree view of the water and will have a water slide. It is a 63-acre oceanfront compound. It is located in The Hamptons. It is valued at around $248.5 million. It’s owned by billionaire investor Ira Rennert. Nearby residents complained that an 110,000-square-foot home would have a negative impact on the neighborhood. Rennert built the home anyway, but now Southampton homes can’t be more than 20,000 square feet. There are so many other expensive houses all around the world. This shows the trend of property buying. Every house is beautiful in its own way. The increasing trends of skyscrapers houses show that in the future there will be more sky high building and the world will be full be beautiful and amazing property.